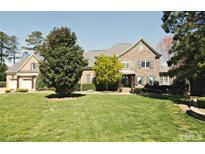 Below you can view all the homes for sale in the Stonemoor subdivision located in Raleigh North Carolina. Listings in Stonemoor are updated daily from data we receive from the Raleigh multiple listing service. To learn more about any of these homes or to receive custom notifications when a new property is listed for sale in Stonemoor, give us a call at 919-928-5027. 5 car gar! Community Pool & Tennis! ! MLS#2248678. 1127. Exclusive Stonemoor Estate Home, Perfect for Entertaining, Inground Saltwater Pool, Outdoor Kitchen w/Bar, Exterior Fireplace, Scrnd Porch, Fenced Yard, Gourmet Kitchen w/Premium appliances, Massive Island, Bar Seating, Hearth Room w/Fireplace, Huge 2-Story Family Room, Main Lvl Master Bedroom w/Lush bath, Butler's Pantry, Office w/ Coffered Ceiling, seperate Dining Room, XL Secondary Bedrooms w/Connecting BAs, Spacious Bonus, W/U Attic, Wideplank Hardwoods, Custom Built-ins, Extensive Moldings, Arched Doorways, Irrig, Garden Area, Distr Audio, Central Vac, and MORE! MLS#2246232. 297. Stunning Dixon Kirby Home in Highly Desired Stonemoor, “Better than New Construction”, Great access to 540/RTP/RDU, Gourmet Chefs Kitchen w/ Massive Quartz Island, Bar Seating, SubZero, Wolf Range, Great Circular Flow for Entertaining, Spacious Family Room w/ 2-Sided Gas Fireplace, Grand Master Suite w/ Spa-like bath and 2 HUGE WICs, XL Secondary Bedrooms, Office, Bonus Recreation Room w/ seperate Stairs, Distr Audio, Irrigation, Zoysia Grass, Ideal Outdoor Living w/Patio, Pergola Covered Stone Terrace, Huge Yard, Pool Ready! A MUST SEE! MLS#2241587. 297. Entertainers DREAM HOUSE - Basement Estate Home on 1 Acre Cul-de-Sac Lot Backed to Hardwoods, Old World Charm w/ Modern Updates, Chef's Kitchen w/ Granite, Island, S-S appliances, Exposed Rustic Beams, Custom Moldings, Hardwoods, Soaring Ceilings, 3 FPs, Hearth and Family Rooms, Office, Main Lvl Master Bedroom w/ Spa-Like Bath, Oversized Upper Bedrooms w/ Private bath’s, Large Finished basement w/ Bar and Wine Room, Additional Flex/Guest Rooms, Screened Porch, Deck, Patio, OUTDOOR FIREPLACE, Fenced Yard, New Carpet, Fresh Paint, and MORE. MLS#2231801. 297. **Incredible Family Estate Home in North Raleigh's BEST NEIGHBORHOOD, Open Floor Plan, Gourmet Chefs Kitchen w/ Huge Island and Bar Seating, Finished Basement w/Media Room, Wet Bar, Exercise Room, Main Lvl Office, Family Room w/Barrel Vault Entryway, Dining Room w/Decorative Columns, Master Bedroom w/Sit Room and Fireplace, Exquisite Master Bath w/XL Walk in Closet, Main Lvl Guest Suite/Flex Room, Bonus, Recreation Room w/Fireplace, Covered Porch w/ Gas Fireplace, Patio, Central Vac, Irrig, Brick/Stone Exterior, Private Yard, Int Freshly Painted, New Carpet, A Gorgeous Home! MLS#2225158. 297.